The Ionic 51 Series running boards are made of 6005-T6 Aluminum for strength with Stainless Steel Overlay. The 51 Series running boards have a polypropylene surface for maximum grip during entry and exit of the vehicle. The 51 Series running boards have a Stainless finish for durability as well as good looks. 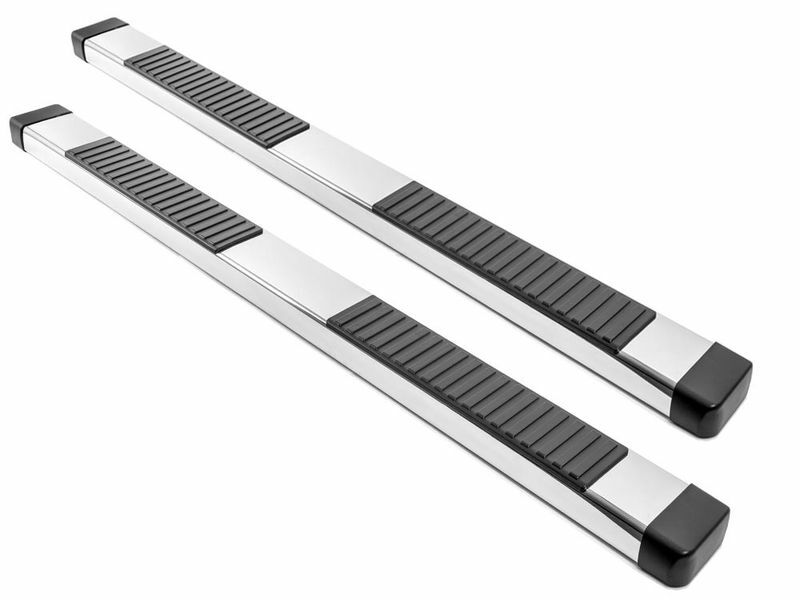 The 51 Series running boards come with vehicle specific brackets for a direct fit and no drilling on most vehicles.